Kai 'Opua is a member of the Hawaiian Canoe Racing Association and the Moku O Hawai'i Outrigger Canoe Racing Association. to encourage, maintain and perpetuate authentic Hawai'ian canoe racing, and to foster the preservation of the Hawai'ian koa canoe and its components of hawai'ian woods in the State of Hawai'i, and participate nationally and/or internationally whenever possible. 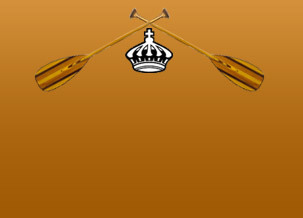 promote and encourage community participation in canoe racing activities. 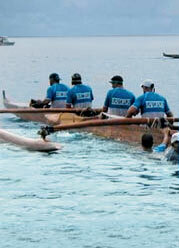 provide education services and opportunities to the community in regards to Hawai'ian canoe culture. Kai 'Opua welcomes paddlers of all ages and experience levels. If you have never paddled before, please be sure to "test the waters" and try our recreational paddling group and meet our paddling ohana. If you are an experienced paddler, we also offer a spirited yet friendly setting to help perfect your technique and satisfy your competitive drive. Practice for the season usually begins in March/April, with the Regatta season lasting from May through July. See our practice schedule below for practice dates and times. If you are interested in a wonderful island sport and have questions, please fell free to contact us via email or come visit us, we are located at Kamakahonu Beach next to the King Kamehameha Kona Beach Hotel. (last Updated March 2019) Novice Y - co-ed 8 - 11, start Tuesday, March 26 at 4 pm - Jo Ma and Jim Fairhurst. Men - NB under Thiebert Lussia'a, TBA on the time. Kai Opua is currently not offering Mixed Maintenance at this time. Please check back if this should happen to change.